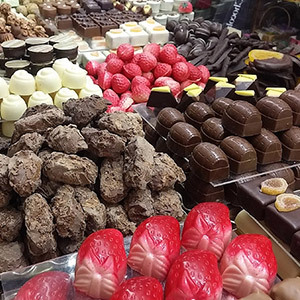 This is our favourite spot where you decide the chocolates you want, select the size of box first, you will then be taken to a list of available chocolates where the fun part begins! After you have chosen please leave any message you would like included at the checkout stage. GF denotes the chocolate is Gluten Free and DF is Dairy Free, AF Alcohol Free. 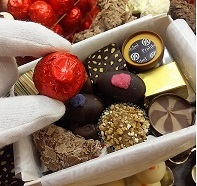 Although marked chocolates have no allergens in their ingredients the manufacturer cannot guarantee cross contamination.